*Authorized StarMark Cabinetry Dealer* Integrity Kitchens and Baths is happy to assist you in making your kitchen and bath ideas a reality. You can take comfort knowing we have the experience that counts as we are going on our 15th year in the industry. Their are four qualities that make Integrity Kitchens and Baths your best call. Integrity is our philosophy, not just our name. Craftsmanship is evident in every detail. Our service exceeds expectations we are on time every time. 100% customer satisfaction is our goal every time! 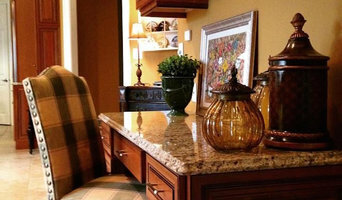 Whether you are looking to remodel your kitchen, bathroom, entertainment center, furniture piece, etc., Integrity Kitchens and Baths can meet your needs and will be there every step of the way. With our custom cabinetry line, semi-custom lines, and myriad types of countertops, we will give you the kitchen, bath, or furniture piece you've always wanted. 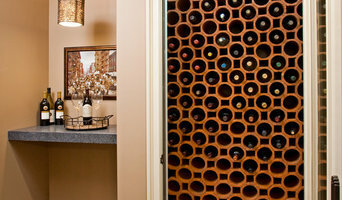 Call our showroom for a FREE in-home custom design consultation. We would love to hear from you! Amy Cuker is a Philadelphia-area interior designer with over a decade of experience designing buildings and educating young designers. Amy Cuker has passed the National Council for Interior Design Qualification Exam and is a Leadership in Energy and Environmental Design (LEED) Accredited Professional. down2earth interior design, llc (d2e) is a unique design practice that focuses on creating sustainable, low-maintenance, and beautiful interior environments for residential and commercial clients. The owner and principal interior designer of d2e is Amy Cuker, who will provide hands-on design and project management services from start to finish. There are many ways we can work together to create an interior environment that meets the needs of your family or employees and simultaneously considers the needs of the larger community and the environment. From concept to finished product, from kitchens and baths to home theaters, and from simple color consultations to complete renovations/restorations, NGD Interiors can handle all aspects of the interior design, build and project management process. NGD Interior’s goal is to help clients define their style and realize their design visions with carefully curated pieces and selections tailored for each project. 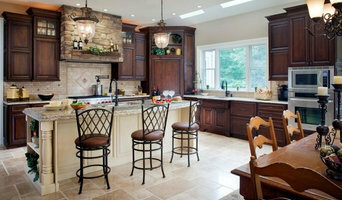 NGD Interiors is a woman-owned business and proud member of the National Kitchen and Bath Association (NKBA). Our principal designer, Nina Green, was awarded NKBA's 30 under 30 international award in2013. NGD Interiors specializes in Kitchen & Bath design, offering our handcrafted luxury cabinet collection, Nina Green Signature Series. 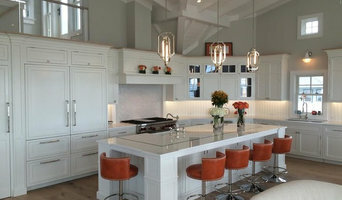 While NGD Interiors loves Kitchens & Baths, their residential services don’t stop there! Other rooms that NGD Interiors creates are: Living Rooms, Master Suites, Nursery’s, Dining Rooms, Mud & Laundry Rooms, and Theater Rooms.